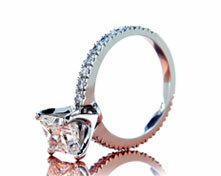 Where can I buy Brian Gavin diamonds in Melbourne, Australia? 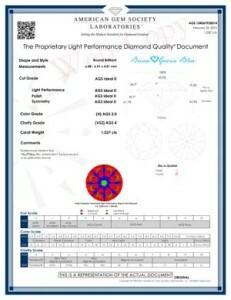 While the insight provided by the image that results from the Angular Spectrum Evaluation Technology (ASET) scan provided on the Light Performance based Diamond Quality Documents (DQD) issued by the American Gem Society Laboratory (AGSL) are invaluable, it is important to realize that there can be dramatic differences in the volume of light return and degrees of brilliance, dispersion, and scintillation exhibited by “ideal cut diamonds” because the grading parameters try to take into account a broad range of visual preferences for how a diamond should look. 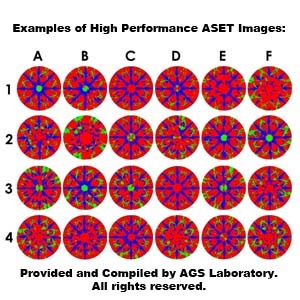 Examples of ASET scan results for high performance diamonds appears above, as compiled by the AGS Laboratory. As you can see by the ASET image provided on the 1.037 carat, H-color, VS-2 clarity, round ideal cut diamond from the Brian Gavin Blue collection of diamonds with blue fluorescence, it looks a lot like the image provided in the 1A region of the examples of high performance diamonds ASET scans provided on the graphic provided above by the American Gem Society Laboratory. 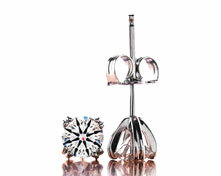 Every diamond which Brian Gavin produces is designed to exhibit the highest volume of light return, through a combination of proportions, and precision of facet alignment indicative of the highest levels of optical symmetry. 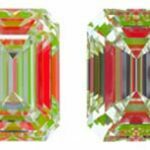 The ASET scans for our diamonds always exhibit the highest levels of brightness, with lots of red and green, and strong, consistent contrast, as represented by the color blue, which is indicative of high performance diamonds. Since the overall cut grade of AGS Ideal-0 is based upon a range of criteria which encompasses a broad spectrum of preferences for visual performance, there are different levels of precision and optical symmetry to be found within the scope of the zero ideal cut rating offered by the AGS Laboratory. 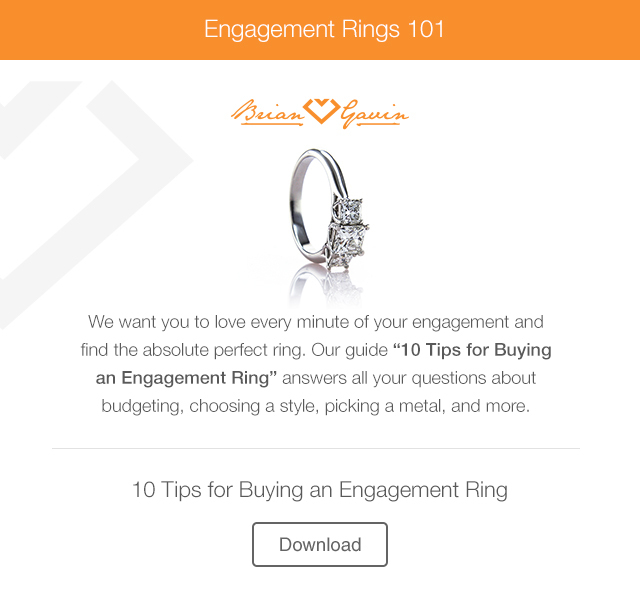 There are round brilliant ideal cut diamonds, like those produced by Brian Gavin, which exhibit a virtual balance of brilliance (white sparkle) and dispersion (colored sparkle) along with a high volume of contrast, because that is the look that appeals to Brian Gavin. And there are round ideal cut diamonds which exhibit more brilliance than dispersion, or more dispersion than brilliance, and those which offer lesser degrees of contrast, as dictated by different combinations of crown angle, pavilion angle, and table diameter, along with variations of star facet length and lower girdle halves measurements, combined with varying degrees of optical symmetry in the indexing of the facets of the diamond. 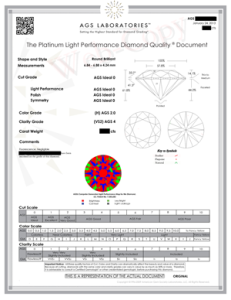 Thus when you look at the ASET scans provided on the Platinum Light Performance Diamond Quality Documents issued for the production of some of our “competitors” you are apt to see some dramatic differences in the patterns reflected throughout the ASET scans. For instance, if you look carefully at the ASET image provided on the DQD which appears below, you’ll notice that the shafts of the arrows created by the shadow of our heads reflecting off of the pavilion main facets located on the underside of the diamond are completely missing, indicating a lesser degree of contrast which is most likely the result of poor optical symmetry, combined with an extremely shallow crown angle of 33.7 degrees which is offset by a steep pavilion angle of 41.5 degrees. 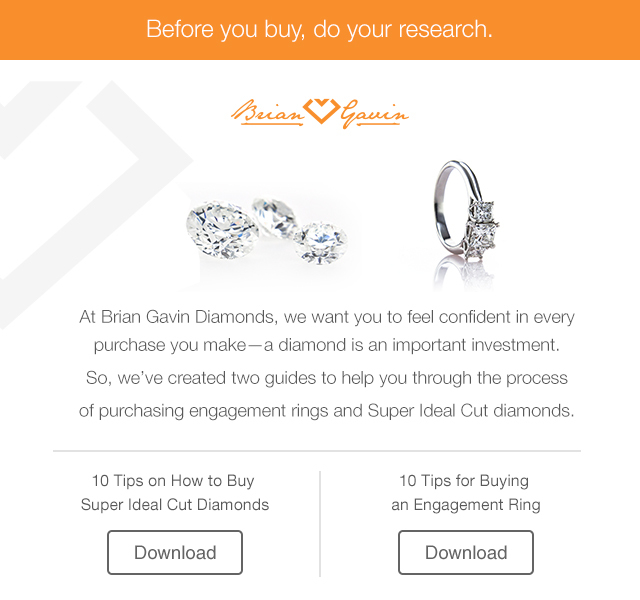 However as a fifth generation diamond cutter, who takes pride in producing diamonds which exhibit the highest volume of light return, and which deliver a virtual balance of brilliance and dispersion, with high degrees of scintillation, Brian Gavin knows that every diamond has to be cut to the highest level of precision, and the proof of superior production quality is readily visible in the precise nature of the ASET images featured on the Diamond Quality Documents issued by the American Gem Society Laboratory for our Brian Gavin Signature and Brian Gavin Blue (fluorescent) diamonds. 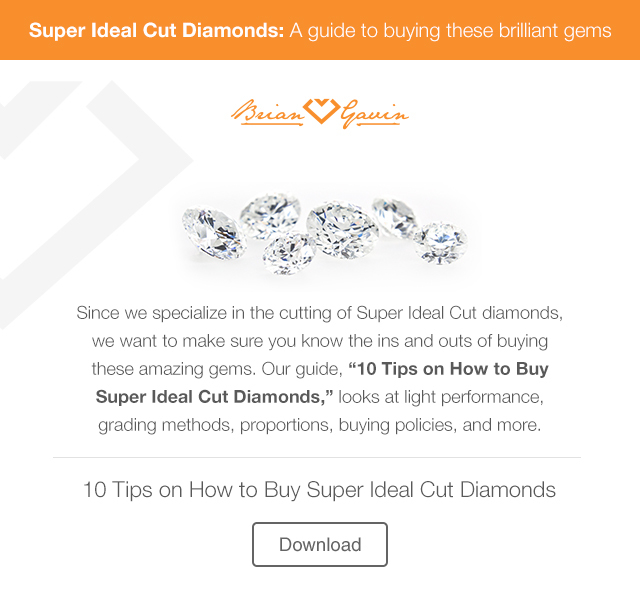 Are all Brian Gavin Signature diamonds super ideal? This entry was written by Danny, posted on March 17 at 7:59 pm, filed under Diamond Education. Bookmark the permalink. Follow any comments here with the RSS feed for this post. Post a comment or leave a trackback: Trackback URL.